Kanye West is one of the most popular artists in the world. He's spent the last two decades collecting awards and building cult followings. He is a musician, but he plays no instruments. He's not the best rapper in the world, and he's not a very good singer either. But whatever he may lack in traditional skills, he makes up for with his ultimate superpower - taste. This man has taste. He commissions world-renowned painters to create his album artwork. One of his albums was inspired by the design of a lamp. 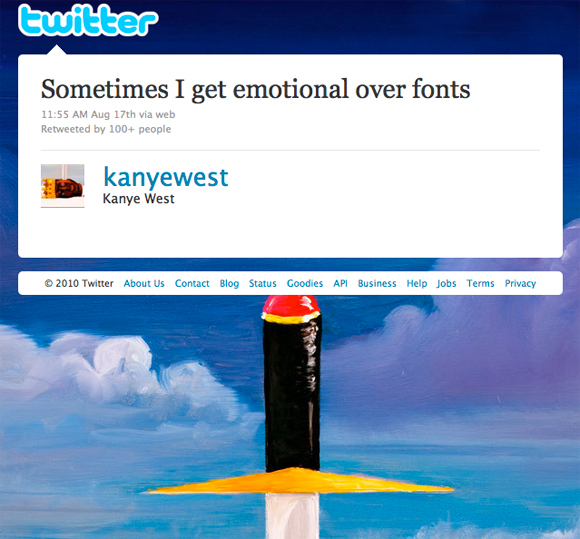 And he tweets about how fonts sometimes make him emotional. He's made a career out of blowing up boundaries and redefining the labels he's been given. After working his way into the core of rap music in the early 2000s, he pulled in his love for 70's soul, Japanese anime culture, fine art, high fashion, 60's architecture, and much much more - carrying the genre into a much more vibrant place than he found it. 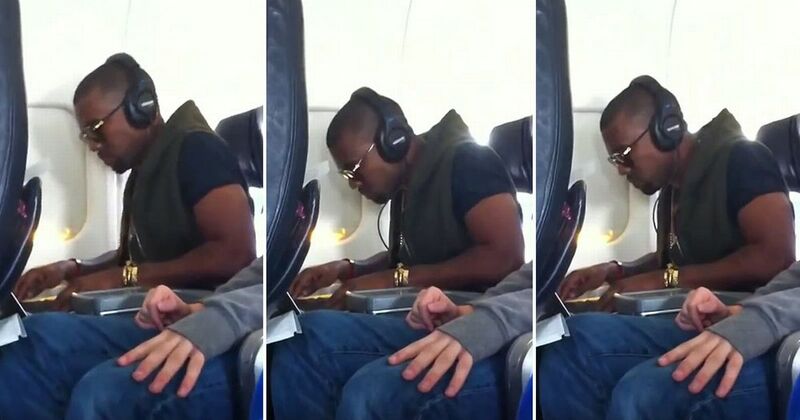 Kanye's most observed method for bringing his diverse taste to life is through his use of samples. He plucks snippets of songs from across decades and genres, modifies them to make them his own, and pieces them all together to create a collage that is entirely new and stands alone from any of its parts. This essay sets out to better understand Kanye's taste. By exploring the data behind all of his samples, we can view his work from a new perspective, giving context and color to his artistic decisions. I hope you enjoy the selected findings I've included below. For any questions, comments, or arguments, please reach out to my direct line. ...It come out sweeter than old Sadie"
Apparently Kanye loves making music for Kanye. The rest of the top 5 isn't much of a surprise either. Jay-Z and Kanye have a long collaborative history, dating all the way back to 2001 when 'Ye produced 'Heart of the City' for Jay-Z's The Blueprint. Common, John Legend, & Pusha T are all part of Kanye's G.O.O.D Music collective, so lots of features are expected. Common and Kanye's Chicago connection made them more likely to cross paths - their first collaboration titled 'The Food' debuted on Chapelle's Show in 2004. The graph above shows the number of songs Kanye produced each year, broken out into songs that don't include any samples (red) and those that include at least 1 sample (black). Kanye's sounds and taste are diverse, but his tendency to use samples is pretty consistent. See below for a list of every sample-less Kanye song. Rows highlighted in red are songs he produced for himself, and can be found on one of his 7 solo albums. Like the rest of Kanye's discography, the sounds of his sample-less songs are wide-ranging - from the layers of synths that make up 2007's Flashing Lights to the stripped-down acoustic style of 2015's FourFiveSeconds. Even when starting from a blank canvas and using only original sounds, he manages to take his music in very different directions. Kanye West has a thing for the 70s. Kanye's mother was born in 1949 and had Kanye in 1977, so he was likely raised in a household soundtracked by the Funk, Soul, & Disco sounds that defined the decade. As his producing career kicked off in the late 90s, 70s music was old enough to be removed from the mainstream sound, but recent enough to still be relevant. I also assume the whole decade looked, sounded, and felt like this. Above is another view of how frequently Kanye has dipped into each decade over his career. For each year in his career (x-axis), the colors show what percentage of his samples come from each decade (y-axis). His use of 70s samples (the purple blob) remains a large portion of his samples over time. The dramatic movements in 2008 and 2018 are due to his low sample-output. 2008 was the year he released the almost sample-less 808's & Heartbreak, and 2018 just started so give him a break. Here's a more detailed version of how Kanye's samples are distributed across decades over the course of his career. Each dot represents a song sampled - the x-axis shows the year it was produced, and the y-axis shows the year the sample song is from. The density and clusters of dots above give us a new perspective on Kanye's sample choices. The batch of dots across the whole grid between 1970 & 1980 show Kanye's affinity to 70s music. The gap above that yellow rectangle shows how rarely he reaches into the 80s and early 90s. The pink diagonal line in the top corner shows us how Kanye has managed to sample songs that were released that year or the year before. 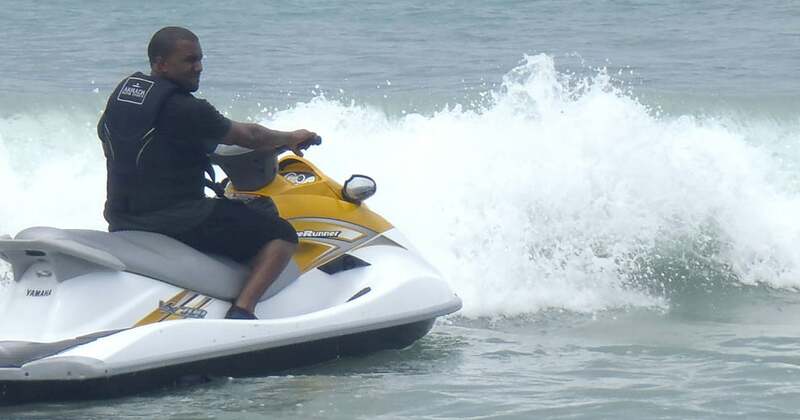 Kanye has sampled many songs by many of artists. The pool that he pulls samples from is deep, and even goes beyond music at times. He's sampled movies, video games, and obscure home-made Youtube videos as well. Keep scrolling to see the artists he has sampled most frequently. The above table shows the artists that Kanye has sampled 3 or more times over his career. The diversity of artists here is wide, but seems to center around rap, funk, and soul. When most people think of Kanye, they think of a modern rapper, the creator of top songs like 'Gold Digger,' 'Stronger,' or 'Power.' Many don't think of him pouring through Dexter Wensel or The Masquerader's library. I tried to find a video of a past Masquerader's performance, but all I could find was their 50 year comeback attempt on America's Got Talent. It has nothing to do with the rest of this essay, but its amazing so I have to share it with you anyway. This graph gives a look at how often Kanye samples in each of his albums. The y-axis shows us the samples-per-song number. The higher the album shows in the graph, the more samples it used on average. If we remove 808's & Heartbreak from the picture, the remaining 6 albums stay relatively consistent in the 2-2.6 samples-per-song range. Even as the sounds of his album change (e.g. the anthemic sounds of MBDTF to the stripped down, scary warehouse party vibes of Yeezus), his sample rate stays the same. While looking at Kanye's music as 'data' is a fun analytical exercise, its pained me to take something as complex as a song and turn it into a single dot on a graph. Kanye's songs and the music he samples are meant to be explored in detail, one by one. So to end this essay, I'll leave you with a playlist that compiles all (edit: most) of the songs Kanye has sampled from since 1996. These are the songs I imagine he listens to while sitting in coach, working out in the morning, or riding his Jet Ski. And now you can listen to them too.